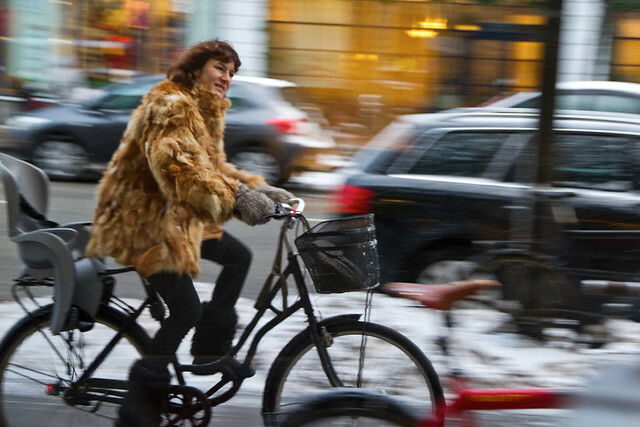 Even in the cold there is still time for window shopping... glancing at shop windows as she rides past. 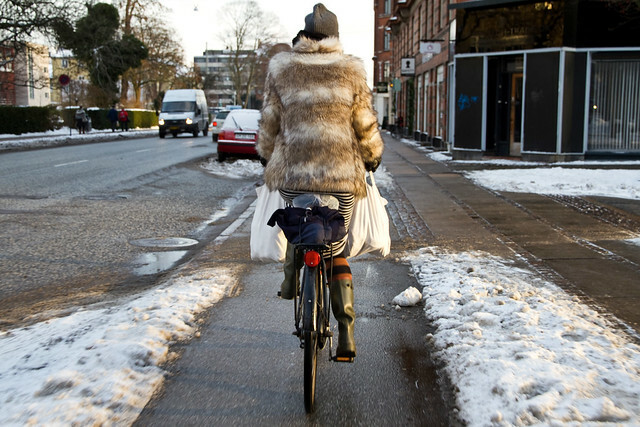 And once you've done the shopping, the bags get home by bicycle. I just remembered I have a fur coat! Thank you, Mikael!